With the backyard chicken movement exploding across the country, biosecurity is more important than ever to protect both backyard chickens and the multi-billion commercial poultry industry. In your role as a member of the backyard chicken movement, you cannot control anyone else’s biosecurity practices, but you can ensure that you are not putting your chickens or other chickens at risk by developing and following a strong biosecurity program. Biosecurity is taking all the steps necessary to prevent an infectious disease from being carried onto your property by people, pets, wild animals or birds, equipment or vehicles. It also includes reducing the likelihood that disease will leave your property (should you experience an outbreak). Biosecurity is a series of practices to protect your birds and the birds of others from a serious disease threat, and it’s everyone’s responsibility, regardless of whether you have one chicken or 100,000. In my younger days just after college, I was a broiler service technician for a commercial poultry company in Arkansas. One of my routes took me by—or often times through—a small flock of backyard chickens and guineas that spent as much time in the road as they did in their owner’s yard. This happened to be a couple of driveways down from a commercial farm I called upon. Biosecurity was not as big an issue then as it is today. In fact, biosecurity is a huge issue now because it is the best defense we have against an infectious disease outbreak. Even today, I still see backyard chickens roaming roadways and right-of-ways and sometimes this is just down the road from the entrance to a commercial poultry farm. Many of the commercial poultry industry service technicians that I talk with today continue to report seeing more backyard chickens along (or in) roadways than I do. And the disease threat today is much greater than the disease threat years ago and we need to treat it as such. 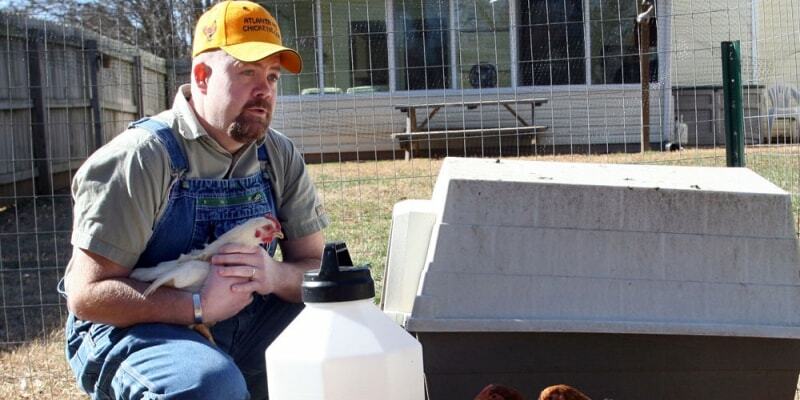 Since I now work for the Extension Service, I get to interact with both the commercial poultry industry and backyard chicken keepers across Mississippi. Especially since the avian influenza outbreak of 2014-2015, the commercial industry does a good job of implementing and following strong biosecurity protocols and practices. However, some backyard producers do not take biosecurity quite as seriously. 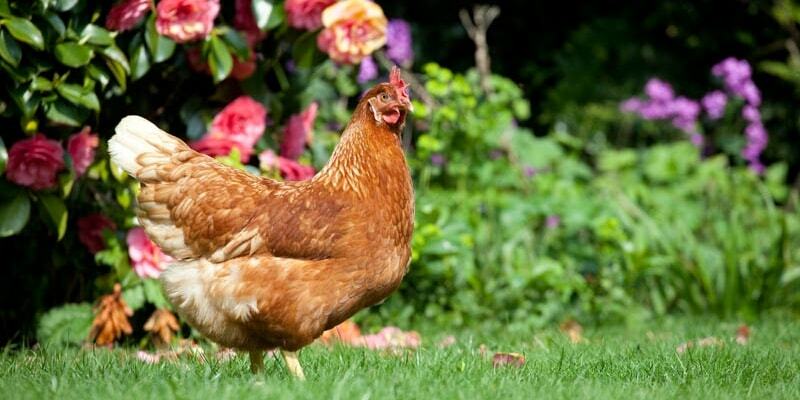 For example, many backyard poultry folks like keep a variety of different species, not just chickens. Most do not realize that, from a biosecurity standpoint, different species should not be mixed, especially waterfowl and chickens. Having multiple species that co-mingle together greatly increases the disease risk to your flock. Most backyard producers don’t recognize the threat that allowing visitors near their flock or visiting other flocks creates. Disease organisms can easily be transported from one location to another on clothes, footwear, vehicle tires, etc. For example, the avian influenza virus can be found in the nasal secretions and manure of infected birds. Infected manure can unknowingly be tracked into the chicken pen or coop, thereby infecting the flock. Also, throwing out food scraps or treats may seem like a good idea, but anything leftover can attract wild animals that can spread disease onto your operation or down the road to your neighbor’s operation. 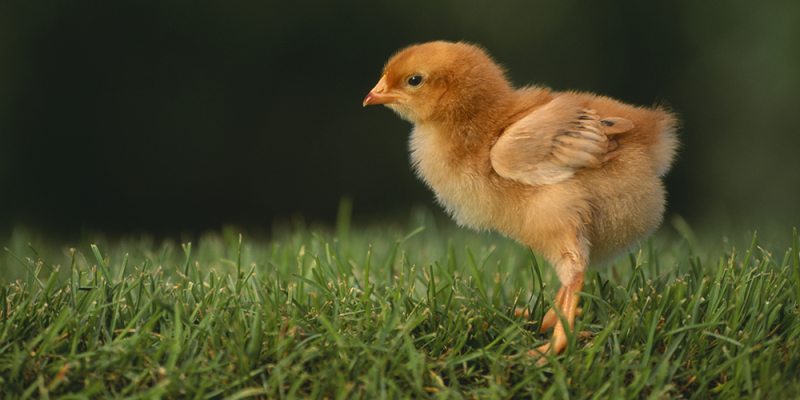 Many backyard chicken keepers don’t know about or choose not to obtain new birds from National Poultry Improvement Plan (NPIP)-certified clean flocks. Obtaining new birds from only NPIP-clean flocks can greatly lessen the disease risk to your birds. Also, when obtaining new birds or when returning with birds from shows, fairs, etc., quarantine those birds off by themselves for 30 days before adding or returning them to your flock. This will lessen the disease risk to the rest of your birds should the new or returning birds be infected with something and not yet showing symptoms. I think part of the problem we have is a communication issue. Many backyard producers got into the chicken business on their own without much help from folks with a lot of chicken knowledge. Most commercial poultry companies have one or more veterinarians on staff that assist with disease and bird health issues. These veterinarians were trained as poultry vets and not companion animal or large animal vets. They are a wealth of information when it comes to anything with feathers. However, these folks work with the commercial industry and not backyard flock owners. Most backyard folks have never talked to a true poultry veterinarian. They may have access to a local companion/large animal veterinarian but chances are this person knows little about chickens because it was not their specialty in vet school. Worsening the situation is a shortage of experienced poultry extension specialists. Most local county extension experts are specialists in something other than chickens. They can’t tell a grower to look for swollen sinuses, watery eyes, coughing, sneezing, or nasal discharge because they have never seen nor heard such a thing from a chicken. However, the truth is that chickens with respiratory issues show many of the same symptoms that people with respiratory issues show. With all the disease threats out there, it’s impossible these days to be too careful or have too much biosecurity. 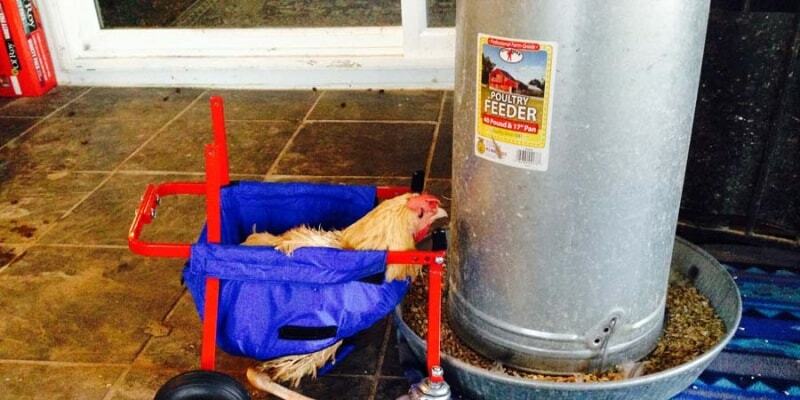 Still, despite our best efforts, chickens sometimes do get sick. If this happens to you, don’t panic but know what to do because help is available. Contact your local county agent or veterinarian. These may not be poultry folks but they likely know where to go to find help. This may be the disease or diagnostic lab in your state or the Board of Animal Health (or similar organization) in your state. If you are in a state with a commercial poultry industry, there will likely be help available from poultry specialists at your state’s land-grant university. So, practicing strong biosecurity is the best defense we have when it comes to keeping our chickens safe. It boils down to two straightforward approaches. • Acquire birds only from NPIP-certified flocks. • Quarantine birds for 30 days after purchase or returning form fairs/shows. • Do not mix multiple species, especially waterfowl and chickens, or ages. • Post “No Visitors” and/or “Restricted Access” signs at road entrance. • Don’t allow visitors to your birds and don’t visit other poultry keepers. • Dedicate clothing/footwear to use when working in/near your flock. • Essential visitors (repair personnel, propane or other delivery personnel, etc.) should wear disposable coveralls, footwear, headgear if anywhere near your flock. • Clean and disinfect feeders and drinkers daily. • Clean/disinfect all coops, crates, and other poultry containers or equipment before and after use. Use plastic or metal containers, not wood; wood is hard to clean/disinfect. • Do not keep feeders or other food sources to attract wild birds or animals to your property. • Consider sound deterrents to prevent wild birds from roosting on your property. • If a bird becomes sick, do not move other birds off the property, even if they appear healthy. The other birds may already be infected but not yet showing symptoms. • Whenever possible, cover pens and vents and openings in the chicken coop with mesh wire screen to keep wild birds out. • Monitor all vehicles entering the property to determine if they have been cleaned and disinfected, especially tires and undercarriage. Know who is coming and going. • Maintain an effective rodent control program (rodents can carry numerous diseases). • Do not share equipment with friends and neighbors. If you do, make sure it is cleaned and disinfected before it leaves and before it returns. • Purchase feed from a trusted source; keep it safe from wild birds and rodents. • Use footbaths. Change them frequently to maintain effectiveness. • Wash hands and use hand sanitizers before and after visiting your birds. • Keep coop and pens securely locked, even when working inside. • Dispose of mortality in an approved manner (composting, burial, etc.). • If you hunt wild game (especially waterfowl), completely change clothes and shower or bathe before returning to the flock area. Written by By Tom Tabler, Ph.D.